As cynical as this will sound, it was only a matter of time. The Wizard of Oz is one of the most beloved films of all time, so, even 73 years after its release, there’s money to be made; new releases on home video or the seasonal cable showings will earn some money which, in all reality, isn’t at all needed, but even that extra cash sometimes just isn’t enough. To fix it, we have the magic tool. 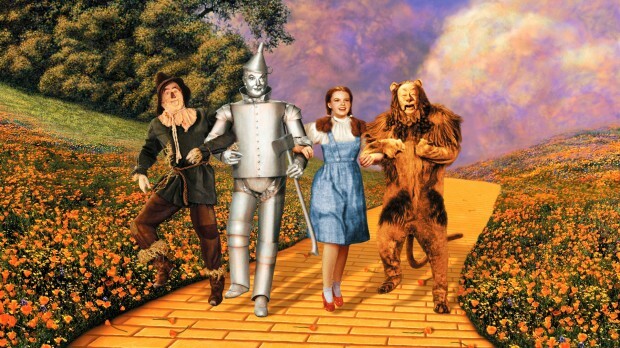 So, to celebrate next year’s 90th anniversary, Warner Bros. will be releasing The Wizard of Oz in 3D. Yes, there’s a 100-movie DVD collection and 50-film Blu-ray set — it should really be the other way around, when you work that out — on its way, though that’s not exactly a step outside the box. The news about this technological makeover is the big standout, no question, but it’s certainly not one in any positive sense. Still, I won’t bother to go on about why this is such a terrible idea — that much should already be evident. It’s just disappointing to know this studio, one I usually hold as the finest in Hollywood, isn’t above the cannibalization of a classic. Maybe it’s my own fault for expecting any different. – Harry, Albert, Sam, and Jack — incorporated on April 4, 1923. Four years later, the release of The Jazz Singer, the world’s first “talkie,” set a tone of innovation and influence that would forever become synonymous with the Warner Bros. brand. Soon to be 90, Warner Bros. continues to entertain the world with films passionately produced, selectively acquired, carefully preserved and impeccably curated for both the casual and ultimate movie lover to enjoy forever. What do you make of this move? Is it crass, or something that could yield a positive result?